Healthy young people and youthful elderly people. How to stay youthful, healthy and attractive? A lot of lectures were heard by the participants, including mine, titled “How a workout and lifestyle can be organic?” In one hour I talked about naturalness, organics, time, money, workout, nutrition, recreation and lagom – they are all closely related. My aim was to ask the questions of what organic training means, what organic diet looks like, why these are different than what trends show you, how you can keep a fit and healthy lifestyle forever and what the problem is with trends. I shared my experience of training people for 9 years, talked about all kinds of training and nutrition needs and what is good or bad about them. People had a lot of questions to ask after my presentation – in case you also have questions, I’m planning to hold an event in Budapest as well. The following presentation from Tamás Cseh was also very interesting, sharing his experiences with diabetes. Participants could also hear Katalin Kovacs, Olympic champion kayaker, about the creed of sport; Sarolta Monspart, our orienteering world champion about the importance of training; Erzsébet Soltész dietetics about food sensitivity, allergies and diabetes; Andrea Kriston about the intimate training, and of course Uncle Gyuri Szabó, the medicine man and his daughter, Zsuzsa Lopes-Szabó, who revealed the secrets of a long, healthy life. 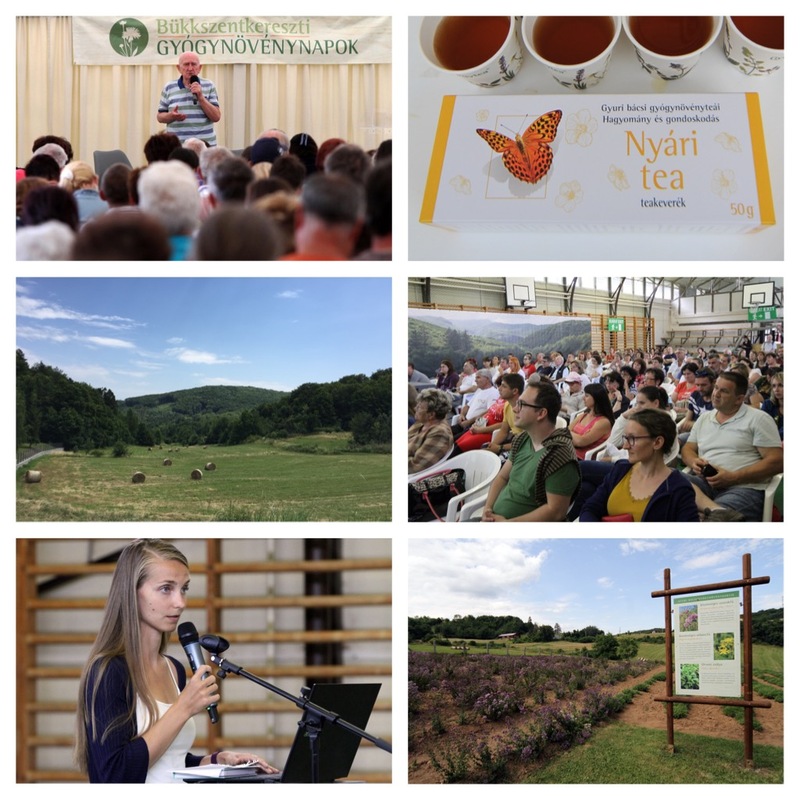 There were several other very interesting subjects as well, for example, “why not possible without birds”, of which the Hungarian Ornithological and Nature Conservation Society spokesman spoke. The topics and presentations were related to today’s modern lifestyle and sought the solutions; from experts and athletes. Attendees could also participate in many herbal programs such as visiting herbal garden, herbal tour, health checks, blood sugar test, dietary advice, herbal and personal consultations, herbal recognition game, plus lots of programs for children so that the little ones can enjoy it too. I loved the market at the event. There were local lavender vendors, a lady selling a herbal spelt pillow of Bükkszentkereszt and my favorite, a potter with handmade stylish tea sets. There were no plastic and gummy products. There was no crowd, like on a similar Budapest market would be. The location is wonderful: the clean air of the beautiful Bükk environment and the atmosphere of Bükkszentkereszt. I and my family had a great time. Hats off to the organisers as a very high quality event has been created keeping the naturalness and sustainability in mind. I can only recommend you to get involved in the future (too). Support more natural, healthy and ethical events!